Sweet little vector kitten wallpaper. Nice to use as computer background, desktop wallpaper or mobile screensaver. 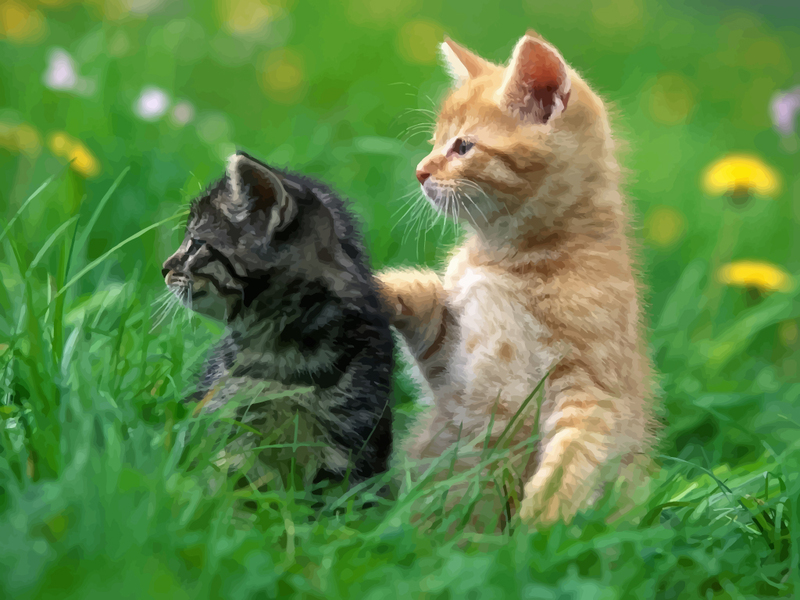 Nature scene of two little kittens, playing with each other in a bright green colored grass field. Vector illustration of a ginger and white and black and white baby cat. Images are copyright of the respective owners.